Close fight in the first 3 rounds. 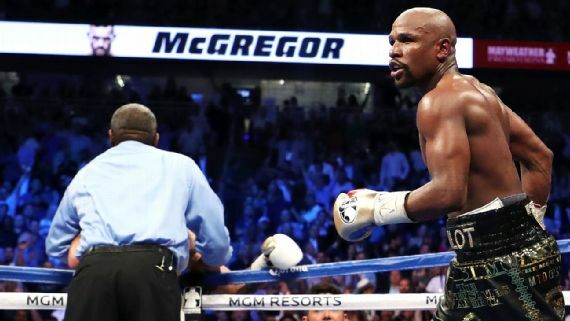 Floyd Mayweather is usually slow early because he has to figure the fighter out. After the first 3 Floyd was a dominant force picking McGregor apart on a way to a TKO victory. 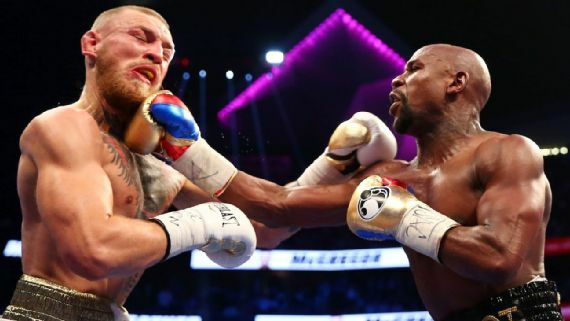 Conor did what everyone thought he would, get tired in the later rounds which opened the door to a TKO victory. Conor has nothing to be ashamed of he was in with the best ever and lasted 10 rounds.